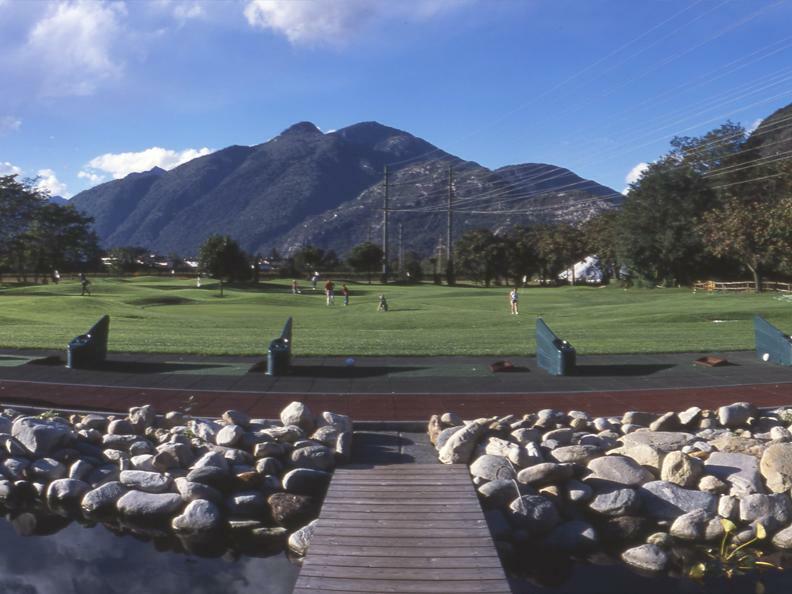 Practice golf court in the hotel area - Golf Pitch & Putt Albergo Losone. Our golf course spreads over 16,000 m2 on the west side of the hotel. 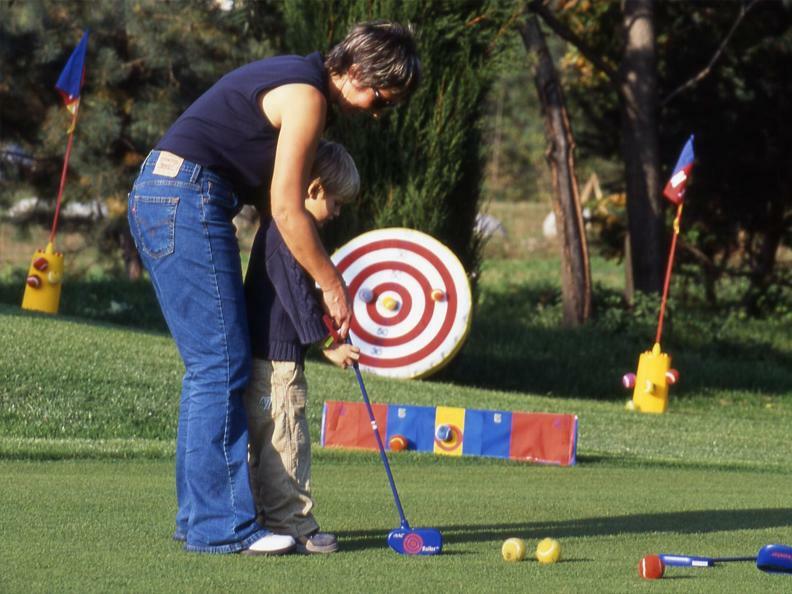 Pitch & Putt is an innovative variation on the game of golf and it is a fun sport and ideal for many players of all ages. 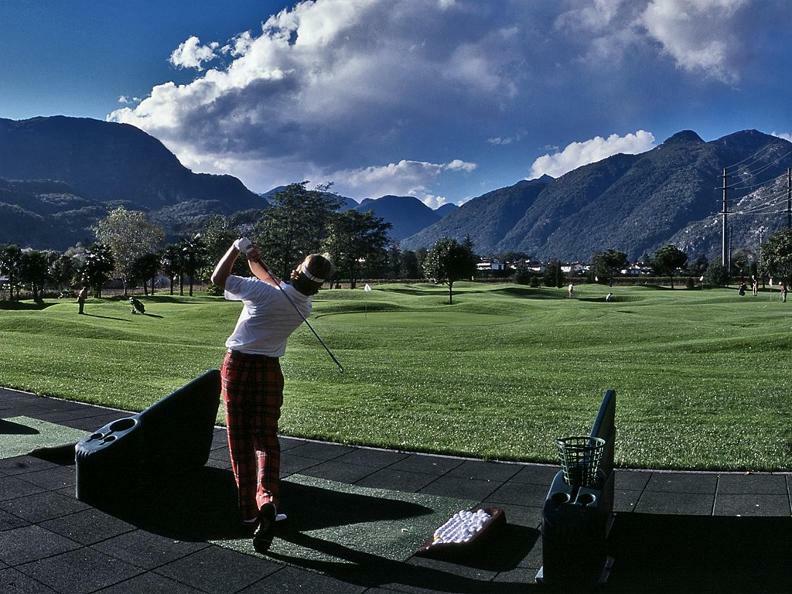 The facility has 9 holes and is ideal for advanced and for beginners as you do not need to have any basic knowledge. 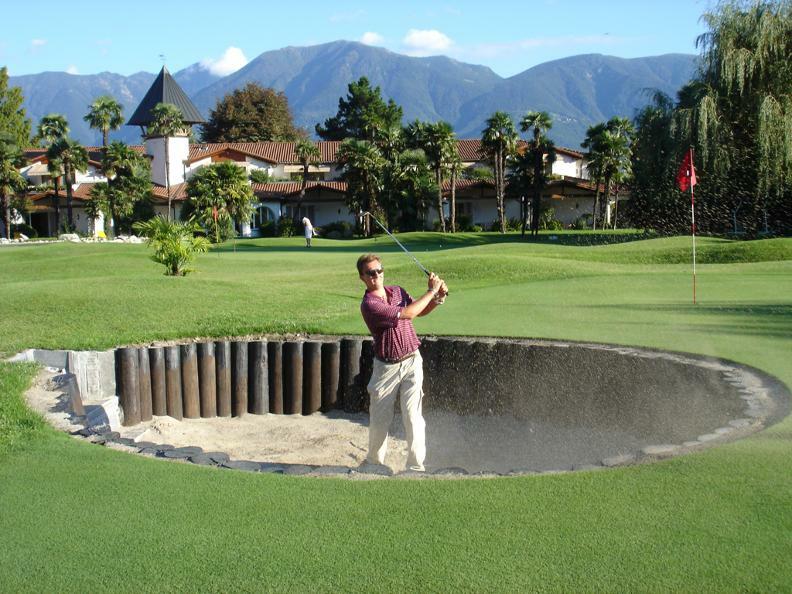 A Pitch & Putt course extracts and concentrates the most difficult part of an entire golf course, focalizing on a short game by encompassing the peak moment of the golf game. In fact, about 70% of the game occurs in the last meters before the hole. It offers all the attraction and difficulty of a normal course: the same philosophy of the ground with tees, greens, bunkers, water obstacles; but game time is reduced (from 45 to 90 minutes), using only two clubs + a putter. Women and men of any age can play together and it can be played excellently by the very young; in fact, the strength of the swing is not essential in P&P. The P&P offers players the opportunity to work on pitching, chipping and putting, and, most of all, heightens the emotional thrill of playing only tens of meters from the hole. Do you just want to discover golfing, have fun, improve your technique or even reach the PR (golf license)? All of this is possible on our golf course and through our Golf Pro's available to you the whole year.